Sony Music has late this afternoon announced the forthcoming release of a digital EP for former American Idol star Adam Lambert. Adam’s current single ‘Whataya Want From Me’ has rocketed into the top ten on the Aussie iTunes chart this week, suggesting the track may place inside the ARIA top ten by this Sunday. 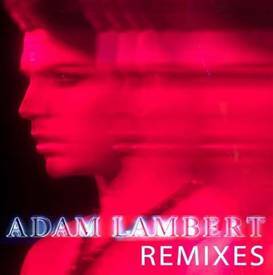 But the new digital EP is called ‘Remixes’ (cover art pictured) and will feature remixes of Adam’s singles ‘Whataya Want From Me’ and ‘For Your Entertainment’ along with the Sam Sparro co-penned track ‘Voodoo’. ‘Remixes’ is set for release through adamofficial.com from tomorrow, with other digital retailers coming online shortly thereafter.